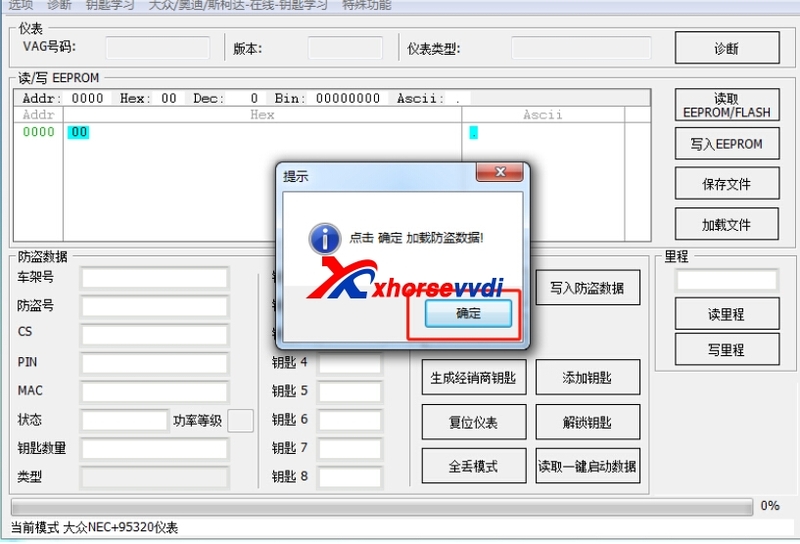 3.Online calculation requires token, the device is free with 1 token. You can buy token here. 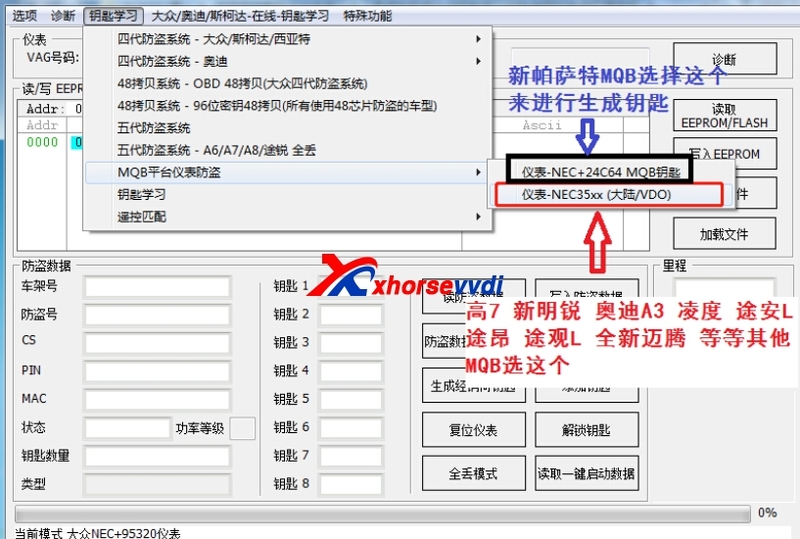 As known, before VAG OBD helper is released, when the VW, Audi, Skoda with 4th IMMO needs to add new keys or program new keys when all keys lost, key programmer can not read out the immo data. Or the operator needs to disassemble the dashboard to gain the immo data. 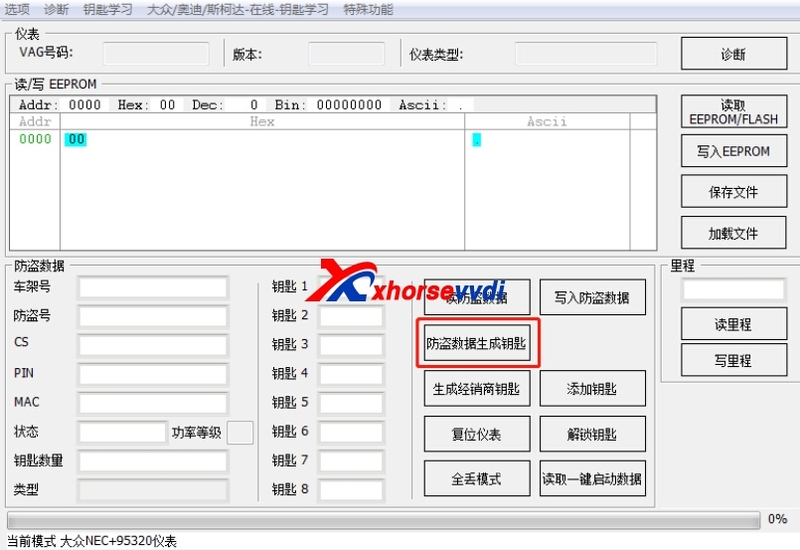 3.If you get all keys lost for any of 2014 A6 A7 A8 Touareg, PHIDEON with 5th immo system, you can use VAG OBD helper to online calculate BCM2 data, then working together with professional key programmer to program key. 2.2. Then if Golf 7,New Octavia,Audi A3,Lamando.etc choose NEC35XX. If new Passat MQB,choose NEC+24C64 MQB. 2.4.Click OK to Load EIS data. 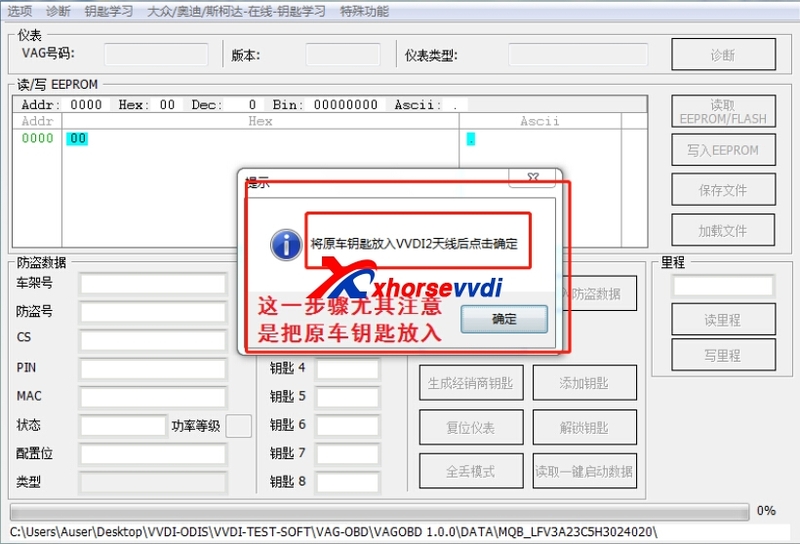 Choose the data you read via VAG OBD Helper. Whether use the IMMO data to clone to make dealer key? 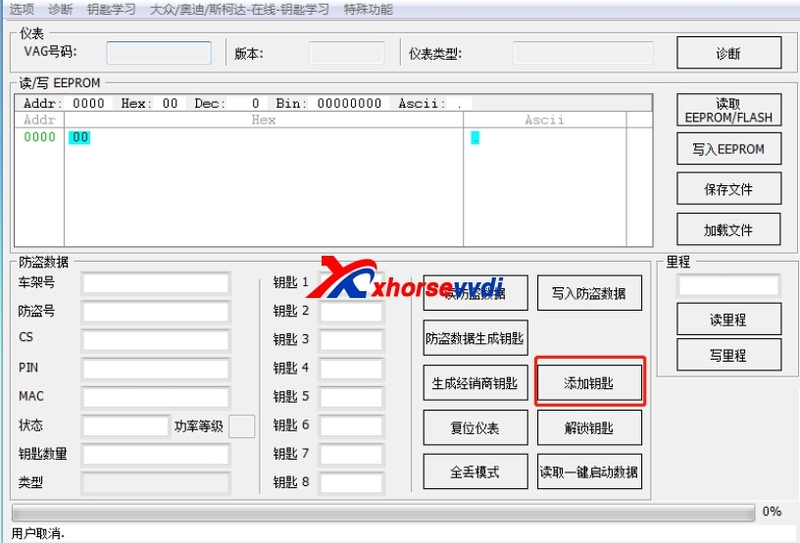 2.6.Choose dealer key type. Audi type is MQB defaulted one. Are you sure you want to generate Audi normal dealer key? Please make sure the make is correct, if you choose wrong, please return back to choose again. 2.8.Put the original key to the coil,then press OK.Please note it is the original key. 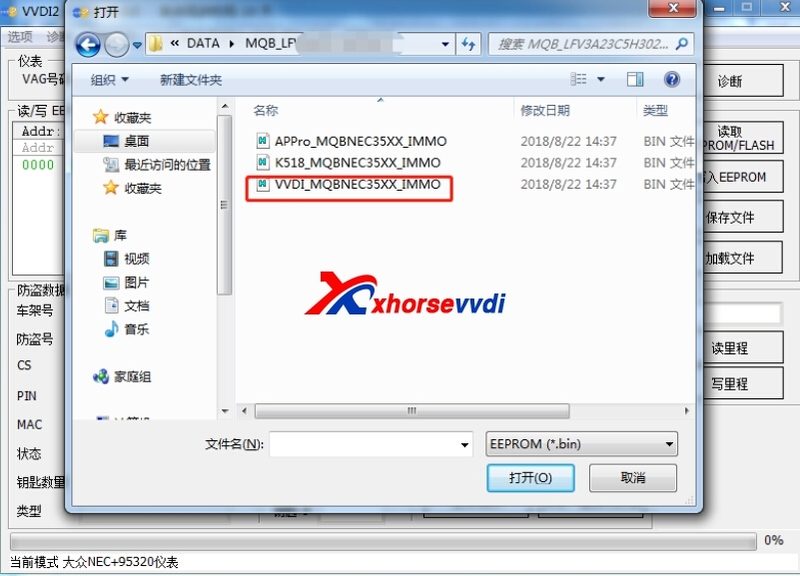 2.10.Note: before learning the key, please firstly save EEPROM and IMMO data (Important), If you have already backup you can continue, otherwise please backup EEPROM and IMMO data first. 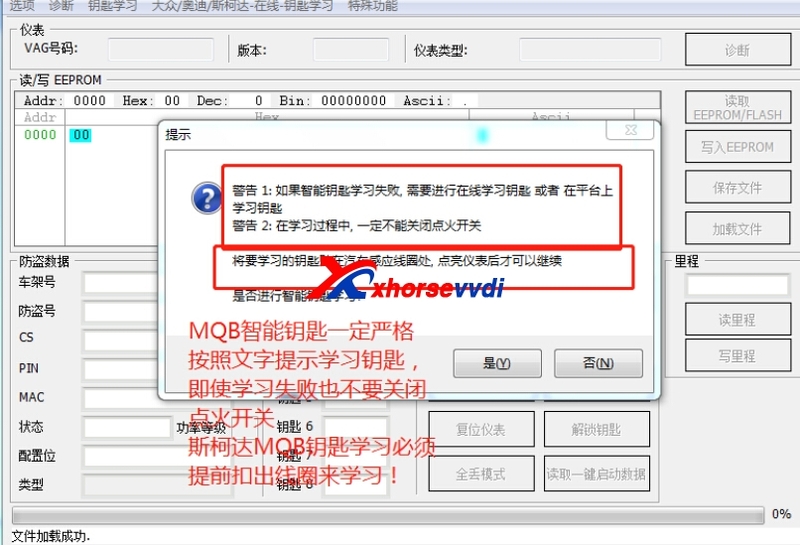 MQB key learn please do accroding to the tips in software. Even key learn is failed,please do not turn off ignition. And SKODA MQB Key Learn must take off the coil before key learning process.